Data objects can be exported to CSV format within a flow by using the Custom Merge [NVelocity] and Create Text File	components. Part 1	of this example will first show how to create data for an Excel and CSV spreadsheet if existing data has not previously been created. Part 2	of this example shows how data objects can be exported to CSV and Excel format within a flow by using the***Custom Merge [NVelocity]***	and Create Text File	components. 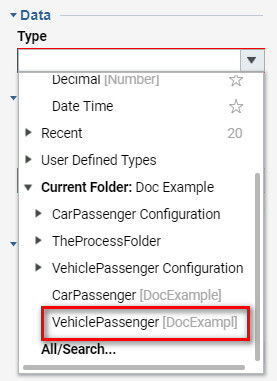 In our example flow, we will create Vehicle Passenger objects from the created spreadsheet. 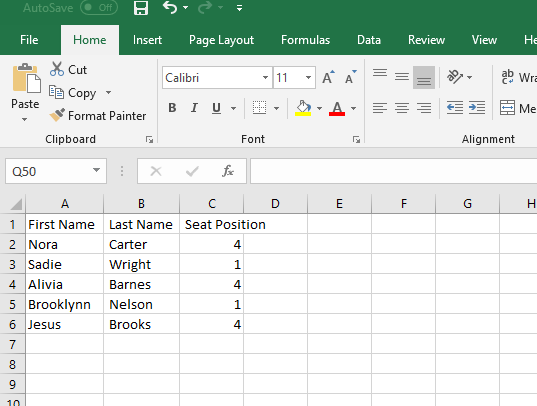 Our spreadsheet will contain the Vehicle Passenger objects that are stored in a folder and contain three columns: First Name, Last Name and Seat Position. This flow is going to generate the data, (vehicle passenger information) that will be used for the Excel and CSV spreadsheet, the reason for creating this spreadsheet is for our flow to have information to pull from. 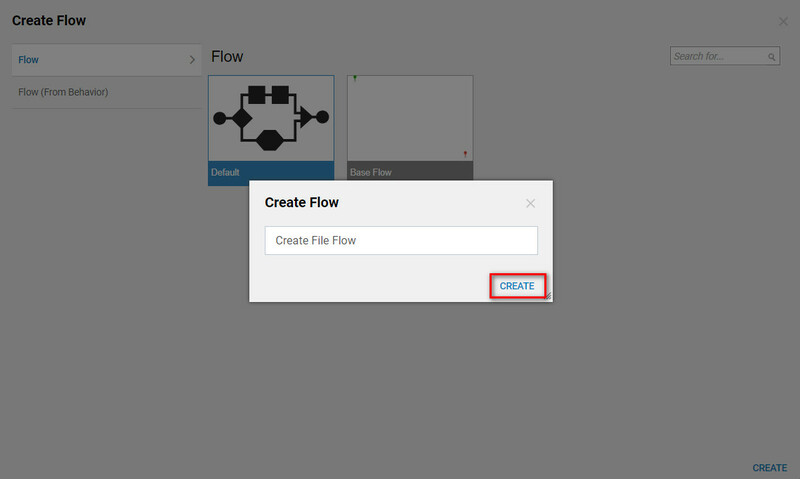 In the Designer Studio select CREATE DATATYPES/INTEGRATION	from the blue action panel at the bottom of the Designer Studio, choose Flow Execution Extension	type and select Create. Name your Flow Execution Extension	and its&apos; data types, now select Save	. This Data Structure	includes the Vehicle Passengers First Name, Last Name and Seat Position. 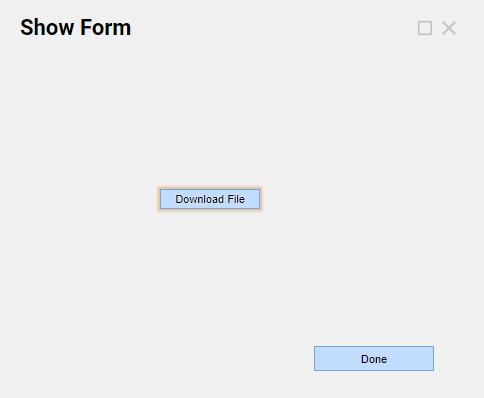 Create a basic form in the Flow Designer and name it Download File Form. This gives us a way to be able to view the form that is created at the end of the flow. Set Form toCanvas	in the Properties Panel	on the right. The form should have a button	component and a download file	component. In Form Controls on the right panel locateButton	and download file	, drag and drop components on the form. https://documentation.decisions.com/creating-your-first-form/. This folder is created to store your example data. Right click on your project folder (this is the folder that you&apos;re creating this project in. The folder could be My Apps, or it may be a folder you created just for this project), hover over Add	, and select Folder (this is NOT a Designer Folder). Name this folder, TheProcessFolder. Create a Flow that will generate the data for your CSV Spreadsheet, using the Steps	in Decisions. Select Create Flow	from the blueAction Panel across the bottom of the Designer Studio, choose your flow type, select Create. In theDesigner Studio begin by selecting the Steps Tab	on the right panel. In the Steps Tab	locateFlow Management> Utilities> For loop Step,	drag and drop step into Designer Studio . Set settings under Common Properties. We have used 5 as the number of iterations to create five passengers as example data. In the Steps Tab	locateData>Test>TestData,	drag and drop step into Designer Studio. Set Settings under Common Properties. In the Steps Tab	locate Data> Text> TestData	. Set Settings under Common Properties. In the Steps Tab	locateData>Numbers>Get Random Int with Min-Max,	drag and drop step into Designer Studio. Set settings under Common Properties	. This step will generate random seat positions with random integers of a min 1 and max 5. In theSteps Tab	locate Flow Management>Data,	drag and drop step into Designer Studio . Under Common, Properties	name your folder. Under Parent Folder	select your S	ource	from the drop-down menu. UnderParent Folder, pick	the folder we created earlier, called TheProcessFolder. The Process Folder	is where your Vehicle Passenger information will be stored. Continue to scroll down the Properties Tab	. Under Make Unique	Select No	in the drop-down menu. UnderFlow Prefix	check the Include Flow Run Id in the Name	box and check the Use Extension Data	box. Under Inputs, select Extension Data	and choose Build Data	. Set all toIgnore	except for FirstName, LastName,	andSeatPosition. Choose Select From Flow	and pick	the corresponding names from the flow. Once all inputs are set, connect the done path back to the ForLoop Step	in the flow. After all, steps are in the Flow Designer the pathways and mapping should look like the below-attached images. Input and output Mapping for the Setup Process Folder. Now that the flow is complete, we need to run the flow. You can do this either by clicking Debug in the flow designer, or you can close the flow designer, right click on Flow 1, and select Run Flow. You will now have 5 items in your process folder that we will put into our CSV file in the next part. Now that the data had been created, start by creating a flow that will display all of the data onto a CSV spreadsheet. In the Designer Studio s elect Create Flow	from the blue Action Panel across the bottom of the Designer Studio, choose the flow type, select Create. Name the flow and select Create. In the Flow Designer begin by adding Steps from the Steps Tab	on the right panel. 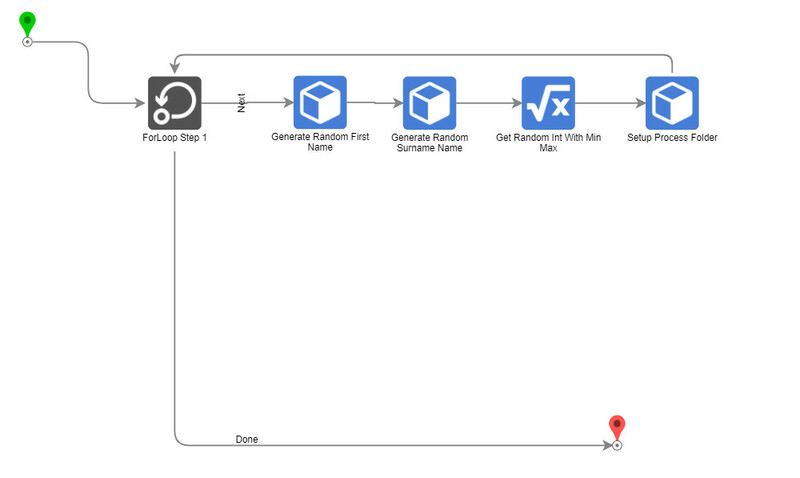 In the Steps Tab	locate the Fetch All Step	from your Flow Execution Data Structure. Choose Steps>User Defined Types>Flow Data Extensions>Vehicle Passenger>Fetch All	(Car passengers), drag and drop step into Designer Studio . DragFetch All Step	and configure the properties. Under Common Properties>Outputs	rename Output	and set the value to Car Passengers. In the Steps Tab locate Create Data Step	. Choose,Data>Create Data	drag and drop step into Designer Studio . 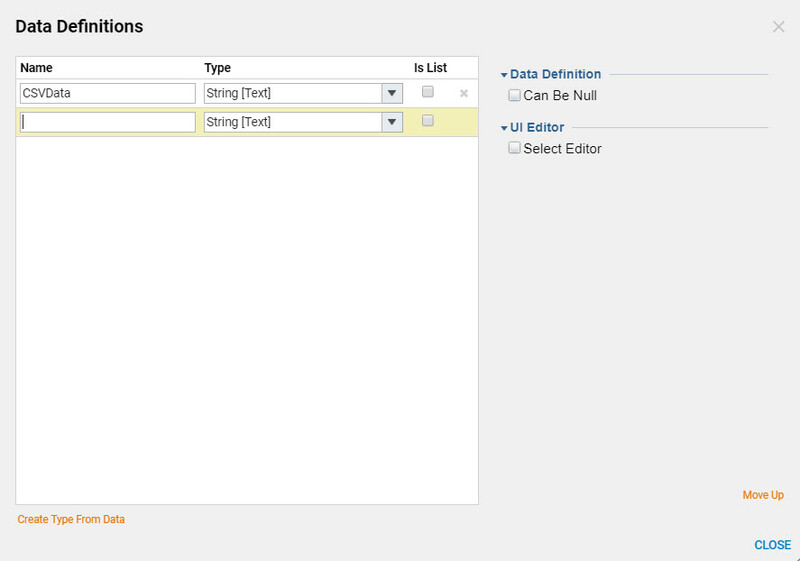 Under Data Definitions	select show editor	and create a data type for your CSVData	Step. In theProperties Tab	under Common Properties	change Name	toCSVData. Under Inputs	and CSVData	choose Constant	and set the value toFirst Name, Last Name, Seat Position. Under Outputs, CSVData	choose Rename and set the value toCSVData. In theSteps Tab	locate Create Data Step. Choose, Flow Management>ForEach Step,	drag and drop step into Designer Studio . In the Properties Tab	under Data	select the drop down underType	and choose the Flow Execution Data Structure	Folder. UnderInputs> Collection	, ChooseSelect From Flow. UnderOutputs>Item	choose Rename	and set the value as Car Passenger	. In theSteps Tab	locateCustom Merge [NVelocity]. Choose,Data>Text>Custom Merge [NVelocity],	drag and drop step into Designer Studio . In theProperties Tab	under Common Properties	and under Merge Setup>Template,	create custom variables using the $ symbol to make these items dynamic. Under Inputs	and CSVData	choose Select From Flow, Pick CSVData	. UnderFirst Name	choose Select From Flow	, Pick	Car Passenger and select First Name. UnderLast Name	choose Select From Flow	, Pick	Car Passenger	and select Last Name	. UnderSeat Position	choose Select From Flow	, Pick Car Passenger	and select Seat Position	. Under Output	and under Merge String	choose Rename	and set the value toCSVData. In theSteps Tab	locate Create Text File. Choose, Integration>File>Create Text File,	drag and drop step into Designer Studio. Inthe properties tab look u nder Inputs	and data choose Select From Flow	and select CSVData. Under file Name	choose Constant	and set the value toPassengers.csv. In the Steps Tab locate Load File,	choose,Integration>File>Load File,	drag and drop step into Designer Studio. UnderInputs	and file Name	chooseConstant	and set value to Passengers.csv. UnderOutputs	and Output	choose Rename	and name it NewFile. In the Steps Tab locate Show Form,	choose, Forms/Interaction>[Pick or Create Form],	drag and drop step into Designer Studio. SelectPick	or Create Form Step	choose pick	and select a previously made custom form. UnderInputs	and New File	chooseSelect From Flow	and select New File. When your flow is complete it should have the following steps. The done pathway from theCustom Merge [NVerlocity] Step	should be mapped back to theForEach step	. The ForEach Step&apos;s	done pathway should connect to the Create Text File. Now that the flow is complete, we need to run the flow. You can do this either by selecting Debug	in the flow designer, or you can close the Flow Designer, right click on Create File Flow, and selectRun Flow. 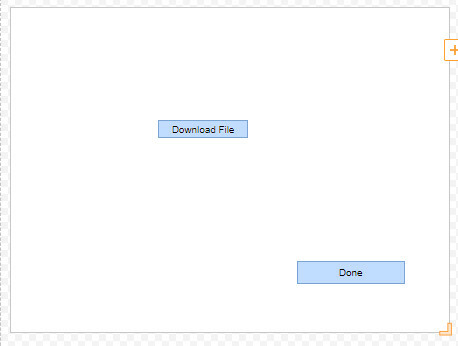 At the end of the flow, your Download File Form	will pop up and you can select thedownload	button to download and view your new CSV file. Select the Done button to end the flow. Select Done and view the CSV spreadsheet.